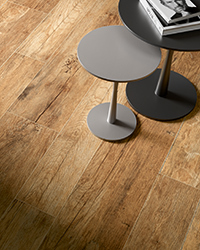 A high-quality porcelain tile made in the USA. 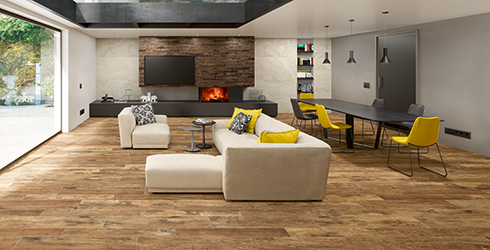 Lochwood is a color body wood tile series that emphasizes American wood flooring color tones, with an emphasis on rich, brown wood tones. Available in three exciting rectangular tile sizes, Lochwood offers multiple wood plank looks for your project and is also available in a beautiful chevron mosaic and parquet mosaic option.